Posted on September 11, 2012, in haiku, Haiku Heights, senryu, September Heights. Bookmark the permalink. 26 Comments. This is an incredible set! Really beautiful work. Lovely… diff to choose a fav! beautifully composed hard choice to point a fav in them! Loved each and every one … awesome !!! These are all wonderful! But the second is my favorite!! Great series of rain-haiku, wonderfully composed. I can’t even tell which one is my favorite. Good job. Lots of these are good I think – I especially like the stumbling fillies and the last two. You must have been inspired! Oh I love that autumn rain, MMT 🙂 So beautiful. As one who stumbles frequently, my heart goes out to the stumbling white filly. I love them all, but the first on played my keys in a especial way. startled fillies trying to outrun the rain is cute and fun. ‘staccato on my rooftop’ is my favoritest! Amazing as usual! I really love the way you look at the prompt from as many sides as possible. Bravo! All great. Loved the first one the most. And each one of it is so different!!! 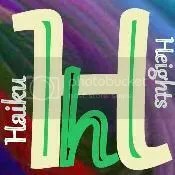 Wonderful set of haiku…..Each one is unique and awesome! wow! each of them are a pleasure to read! lovely! The first one and the old love letters are my favorite among this great variety. You have an amazing gift to deliver several time and time again on single prompt! !